There's still time to participate in Color Challenge 61! Remember, you don't have to have the EXACT colors to play. Just use colors inspired by the ones you see below. This challenge features soft colors to inspire you — Coral Crush, Persimmon, Berrylicious, and Gravel Gray. 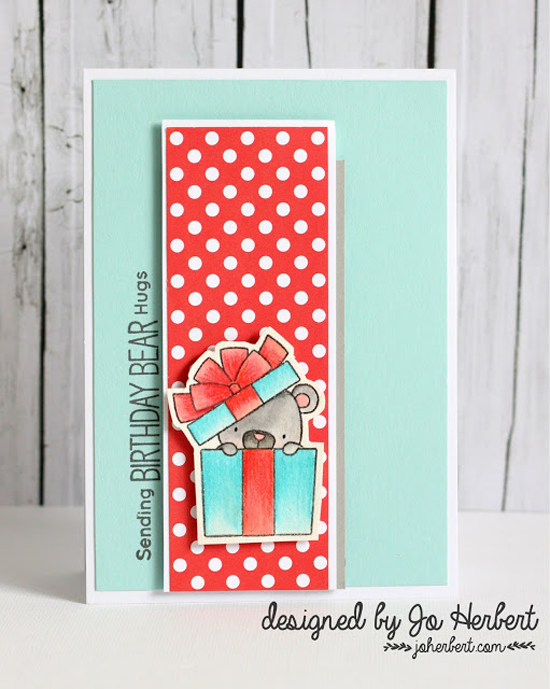 Jo's cute card features one of our Birthday Bears popping out of a box with some cute birthday wishes. Such a fun interpretation of Color Challenge 61! Cecilie's colors don't match PERFECTLY, but that's OK! Our challenges are always a jumping off point for creativity. 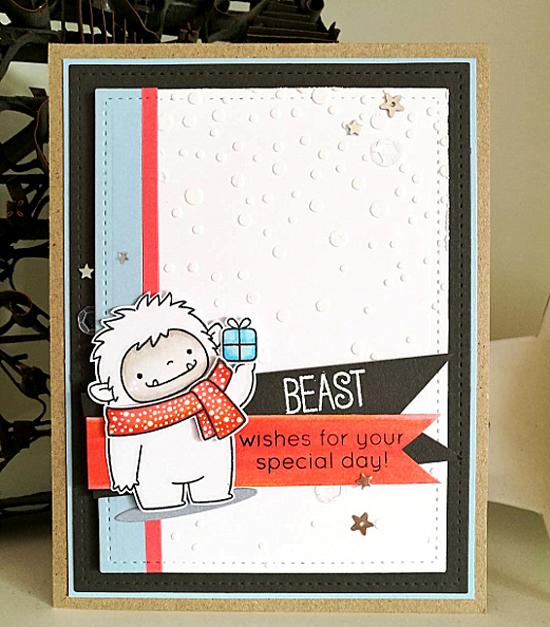 And how cute is that peachy scarf on the gift-toting Beast Friends yeti?